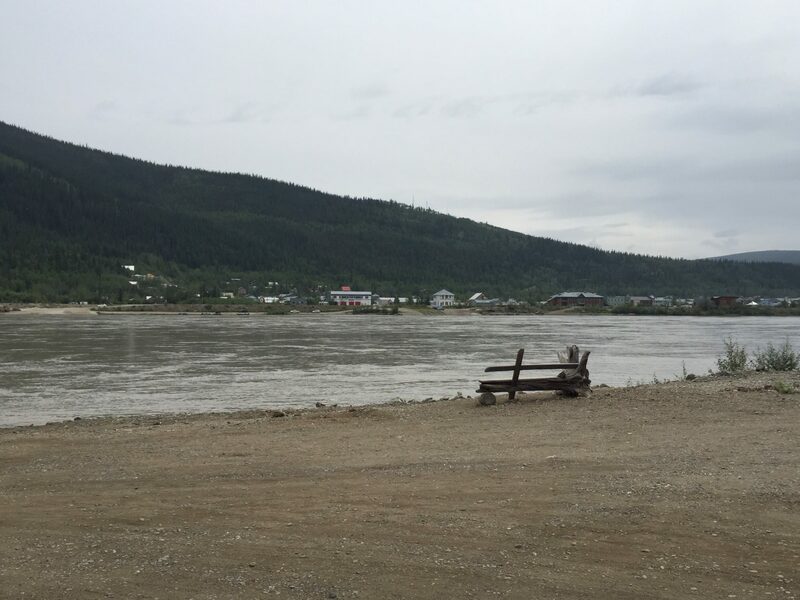 We made it to Dawson City. Wow, what a drive. They weren’t kidding about the steep drop offs and narrow, winding dirt road. Made it across the border without incident. Tiring 5 1/2 hour drive from Tok. 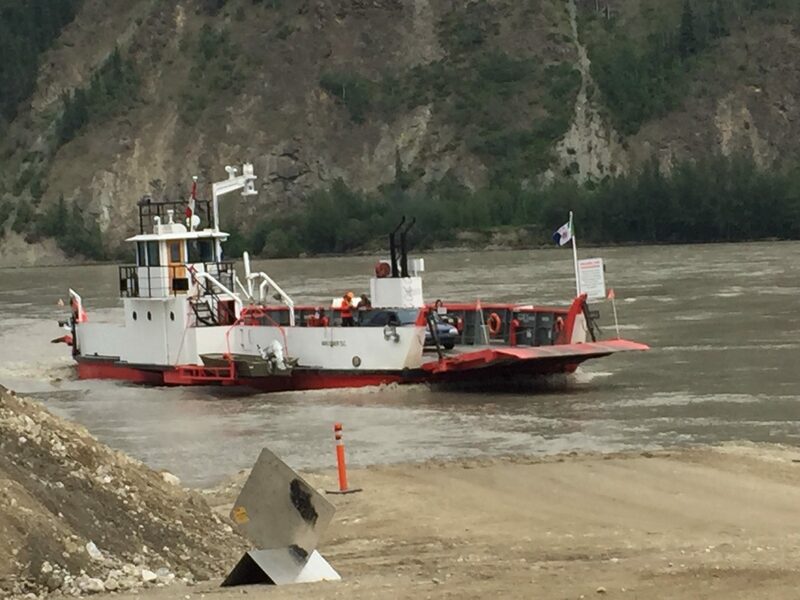 Then a ferry across the fast moving Yukon River.